Today kicks off #MARCHoftheUNDS – What is that you ask? This month we’ll be doing giveaways and contests, as well as releasing new & improved styles and colors of lace locks, and of course I’ll be bringing you never before seen sneaker masks as well. BE SURE TO FOLLOW @freehandprofit ON IG & TWITTER FOR THE FULL #MARCHoftheUNDS EXPERIENCE! To kick it all off is the 89th sneaker gas mask made from 2 pairs of Nike LeBron 11 “Miami Nights”. 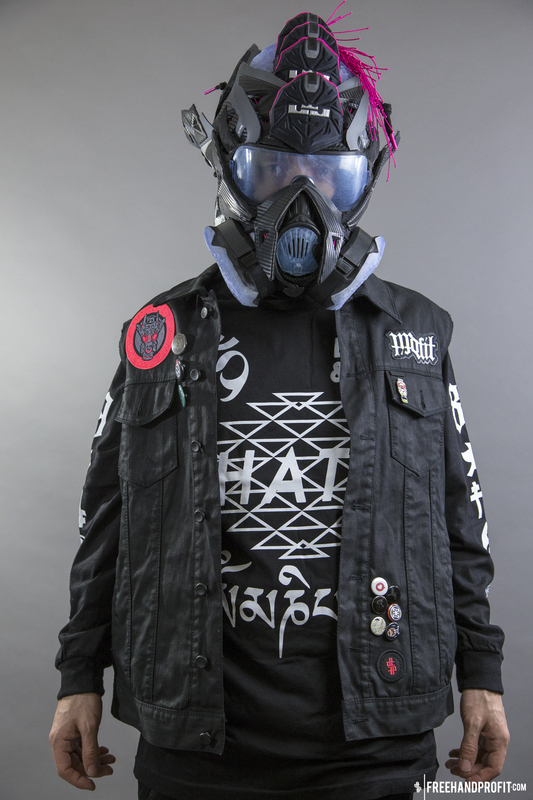 The Miami theme ties in well as the 89th mask, a nod to the part Miami based streetwear brand 8 and 9 has played in the artwork. Sticking with the serendipitous theme, I chose to unveil the mask in Southern Florida at SneakerCon Ft. Lauderdale. Be sure to check out SneakerCon when they come to (or nearby) your town, you can catch me in person on tour with 8 and 9. Next stop Cleveland, see you there! And of course having the mask in Miami meant we had to get a photo shoot in, at night of course! Big thanks to Smitty of 8 and 9, always a pleasure shooting with you. You can see some of Smitty’s photography here or right here on this blog! 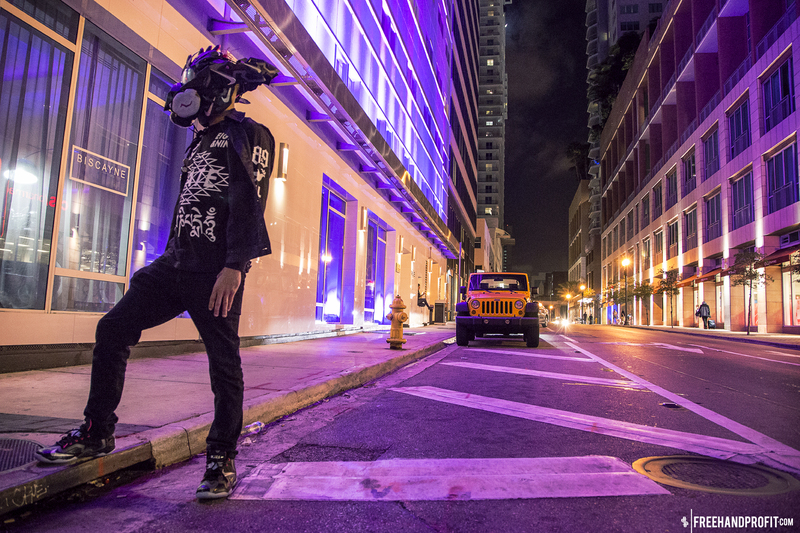 Friend and core 8 and 9 member, Peiso brought the personality of Miami street life to the mask. Take a look at the gallery below or FREEHANDPROFIT.com to see more! The Miami Nights Gas Mask features a custom hand cast “ice blue” lens and nose piece to match the soles. Bat-like “wings” stretch back away from the head like one part Hell spawn, one part Hermes or Mercury. This mask is built with a M50 gas mask base, it was commissioned by an existing mask collector (i.e. – custom order, no longer available for purchase.) If you’re interested in purchasing or commissioning a mask simply click this link.